This weekend will see the completion of two major tram projects. In Zürich, Glattalbahn will be completed with the opening of its third phase. The first phase from Oerlikon to Auzelg opened in December 2006, and the second phase from Glattpark to the airport in December 2008. This third and (for now) final phase extends beyond Auzelg via Wallsellen and Dübendorf to re-join the tram network at Bahnhof Stettbach. In a more distant future, it is intended to extend the system further by closing the gap between Dübendorf and the airport via Dietlikon, Bassersdorf and Kloten (Ringbahn Hardwald). Saturday 11th December will see the official opening with the public being able to take free rides and numerous events organised in the vicinity of the stops. 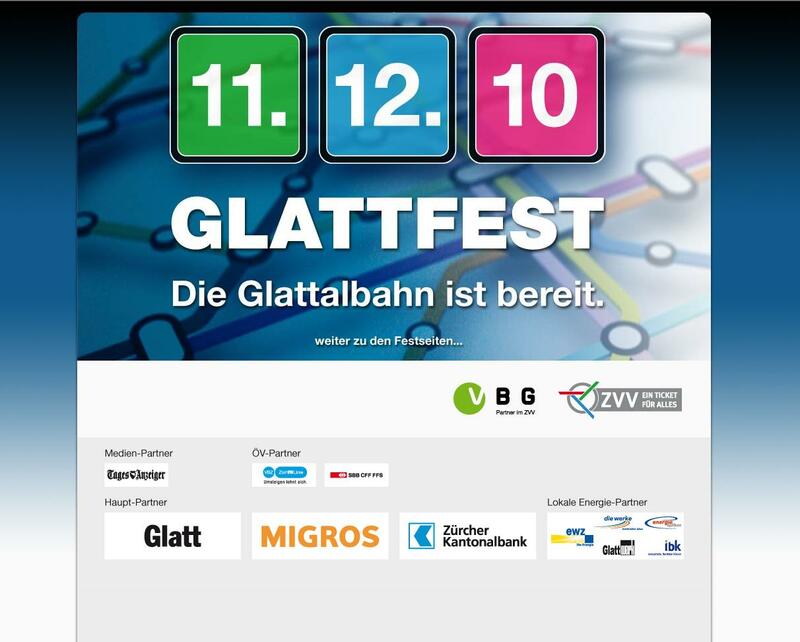 More information on this can be found on the website www.glattfest.ch. Regular operation will commence on Sunday 12th. Besides additional track mileage, Zürich is also gaining a new tram route. Route 12 will serve the new corridor and then continue beyond Auzelg to the airport. It will be worked by VBG-liveried Cobra trams. 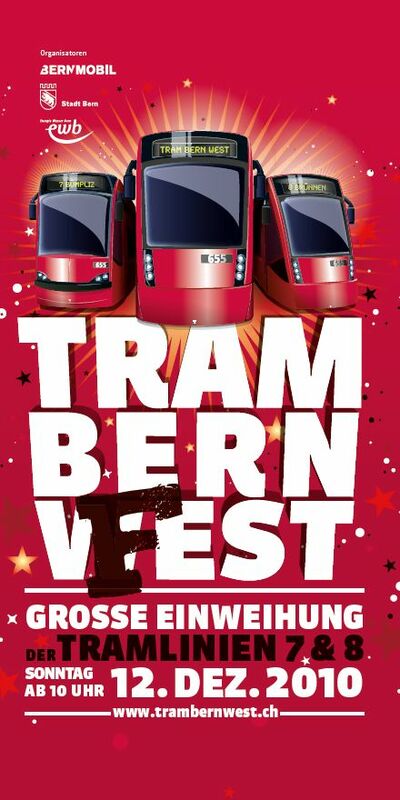 Meanwhile, Sunday will also mark the opening of Tram Bern West. This is not only the first major tram extension to have been built in Bern for many years, but with it Bern is gaining not one but two additional tram lines. The new extension forms two branches, with route 8 terminating at Brünnen and route 7 at Bümplitz. It is fitting for the Christmas season that the Brünnen branch also serves a place called Bethlehem. Similarly to Glattalbahn, the opening will be accompanied by numerous other activities along the route and even a concert. More information can be found on the website www.trambernwest.ch. Also in Bern, RBS Route G to Worb is being integrated into the city tram network. I don't know whether it is coincidence, or maybe planning for the benefit of invited guests and enthusiasts that despite both projects coming into full service on the same day (coinciding of course with the national timetable changeover), that the main Glattal festivities are on the previous day so making it easy for enthusiasts to attend both events and enjoy a very trammish weekend. This makes it all the more unfortunate that Tram Museum Zürich have also chosen the same Sunday for their end of year photo-tour, using Pedaler type tram 1530. Building on the theme of the previous day's Glattal opening, the tram will be decorated for route 12 and will revisit the haunts of the previous route 12 (Sportplatz Hardturm – Laubegg) which was discontinued in the 1960s. The tour will continue to Auzelg to meet the new route 12, but as it is not equipped with the necessary safety/signalling systems, it will not run on the new section. More information on www.tram-museum.ch.